Susham Bedi's first novel, The Fire Sacrifice, is in the tradition of social realism in Hindi fiction that began with Premchand about the time of the First World War. Premchand and his contempor-aries in other regional languages devoted most of their attention to the problems of the underprivileged, but in the period following Indian Independence 1947 novelists have been more preoccupied with the middle classes, their alienation, and the tension between modernisation and conservative religious values. 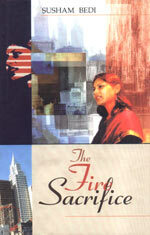 Susham Bedi brings her own originality to bear on the tradition, both by treating the particular problems and cultural conflicts of Indians who have migrated to the West 'Everything that was tender, fragrant, fresh and pure... All turned to ashes... Had she herself been saved or burned to nothing, like the offerings in the fire? Mira, the protagonist of the novel, lives at a level of feelings, where, in spite of repeatedly moving further, she helplessly returns to the same invisible spot. As Guddo's family gathers in her New York apartment to welcome the New Year, she re-lives the ten years that have passed since she left her native India. Drawn to the USA by the promise of a glamorous life, Guddo's whole family became ensnared in a struggle between Indian and American way of life. She watches as the next generation is drawn inevitably to rootless Western ways, with tragic results. A fast-moving novel which encapsulates the conflicts of the immigrant to the West, through the eyes of a woman coming to terms with loss and challenge. 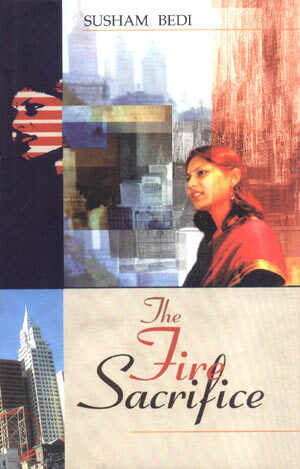 Beyond giving us a dramatic and compassionate account of the problems of Indians trying to make a new life abroad, The Fire Sacrifice, like all good fiction, reminds us of the universality of human nature and the common experience of people no matter how divergent their origins and cultures.